A market opportunity for the innovative entrepreneur and visionary venture capitalist, a new market, waits to be charted. I see a market opportunity and I want to get the word out to entrepreneurs and innovative brands. The number of collaborative startups that support lending, borrowing, funding, trading, or gifting of products and services is on the rise. Brands are at risk of falling behind or missing the opportunity altogether. This is a significant business opportunity for entrepreneurs and venture capitalists to create a platform that will enable brands to take advantage of this movement. We’re more than halfway through the interviews for our next report on the Collaborative Economy and what it means to corporations. I’ll be sharing in a keynote address at Leweb. One thing is for sure: This trend is unstoppable. There’s been over $2 billion of funding issued. Those who have been funded have received close to $28 million each on average. These startups aren’t going away. We’re seeing brands starting to participate. In particular, innovative Wal-Mart is considering allowing customers to deliver products to each other in order to compete with the giant known as Amazon. The macro trend is societal. As consumers possess fewer resources and less land, and as population increases, we will rely more and more on trade and barter systems. The goal is to enable brands to directly rent or lend their products and services to the market or to build a community that enables its members to do so on its behalf. Imagine a branded Hyatt or Hilton version of AirBnb that rents out luxury guest rooms in a neighborhood where you are traveling, or a branded service of local talent for rent by Manpower, Kelly Services, or IBM services . Or imagine renting your neighbor’s Lexus, powered by a version of Lyft or Zipcar that’s hosted by Toyota. This trend isn’t all that new. Over six years ago, we saw the rise of branded Online Communities, which was comprised of 125 startups. Today, the leading players include Jive, Lithium and Telligent. There are a number of features that must be included any collaborative venture in order to succeed, including an online marketplace or community presence, reputation control, ecommerce capability, APIs to connect to other programs, and an aggressive marketing plan. A professional services team for integration and implementation will be necessary, as well as strategic services to educate and provide profession-level direction . There are also opportunities for digital agencies to provide branding and content, as well as communications teams to launch and seed with ongoing media air cover. Players that are already on the field could assemble these features rapidly. These include social commerce vendors known for ratings and reviews, such as Bazaarvoice – which already has over 50% of the retailers on their platform – or Lithium, or Jive. These are branded, community software and social management solutions that leading enterprise companies are already using. I can also foresee that the Salesforce developer ecosystem could quickly put these tools together into a platform and brand for leading companies like Burberry. I do think, because most of these players are entrenched in their current business models, that they will not pivot fast enough, so there’s room for a scrappy, early-round startup to emerge, disrupting the space. So there you have it, from your trusty Industry Analyst. 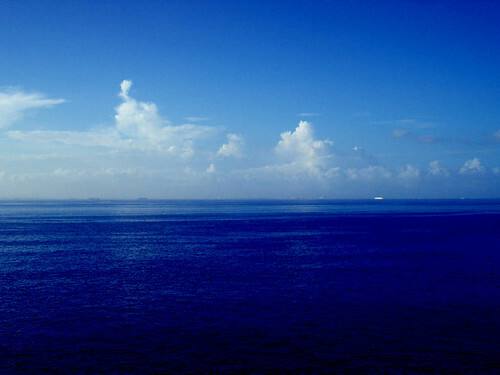 There’s a blue ocean market opportunity on the horizon, and I see zero players to date. As vendors emerge, I’ll cross link below. May 29th: Bazaarvoice published the first thought piece, indicating this is an opportunity for brands. They are first-to-market with thought leadership from the social business category.